Testing has been completed on Winter Park’s new re-vamped snowmaking system, meaning snowmaking operations are ready to begin in earnest. 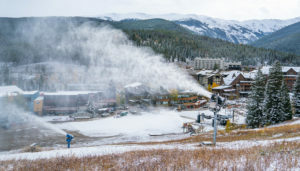 Over the summer, Winter Park invested over $4 million on new pipes, snow guns, and compressors, enabling the resort to make more snow more efficiently. 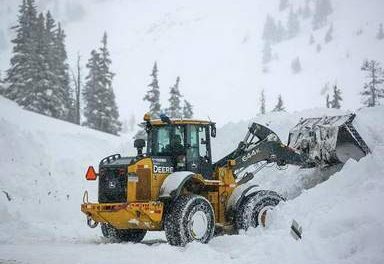 Mother Nature has also chipped in, dumping more than 10” of natural snow this week. Winter Park will open for the 2018-19 season on Wednesday, November 14. Election day is Tuesday, November 6. The deadline to register online is Monday, October 29. If you miss this deadline, you will not receive a ballot by mail, but you can still vote in person at a voter service and polling center. The deadline to register to vote in person is Tuesday, November 6. You can also register and vote on Election Day. If you would like to register to vote or update your voter registration record and you have a Colorado Driver’s license or ID card, you can do this online at GoVoteColorado.com. 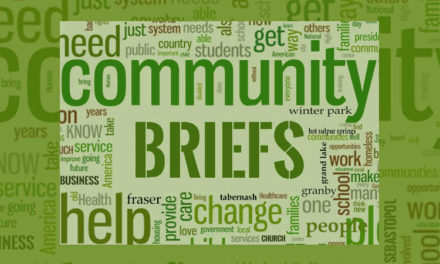 Visit co.grand.co.us/147/Elections for information on Grand County elections. Historic Fraser Inc is pleased to report that great progress is being made on the restoration of the Ford Barn on the historic 4 Bar 4 Ranch. “The concrete foundation is in place, damaged logs are being repaired or replaced, and soon we’ll order trussing and the corrugated metal roof. Our hope is to be basically finished before winter sets in so the Ford Barn will be secure against the weather once again,” says Kent Wehmeyer, HFI. 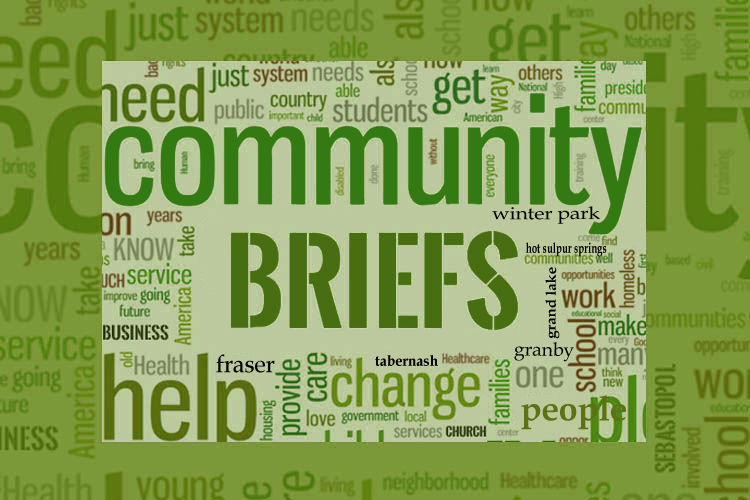 The event takes place on Saturday, October 12th, from 10 am – 5 pm, on CR 5, between CR 5171 and CR 518 in Fraser. Bring your hammer and come prepared to work and learn about our history! 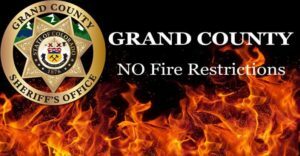 On Tuesday, October 9th, the Board of County Commissioners officially lifted the Fire Restrictions. After a very hot and dry summer, the recent moisture led to the decision. Residents and visitors should still manage all fires responsibly. Precautions people should take include ensuring campfires are dead-out before leaving camp, avoiding parking in tall dry grass, and avoiding driving OHVs in areas where dry grass can be ignited by hot exhaust. It only takes one spark to start a wildfire – equipment should have working spark arresters and trailers should be inspected to ensure chains are not dragging. 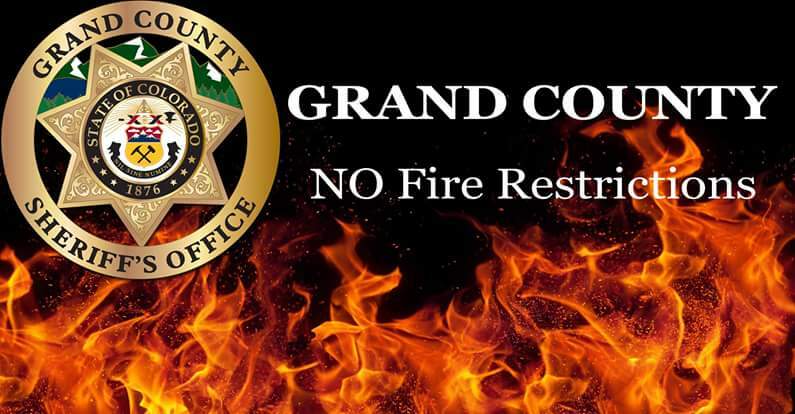 With cooler temperatures and precipitation in the Grand County forecast, the first possible burn window begins Oct. 10-11 for the Blue Ridge Prescribed Fire near Granby and Hot Sulphur Springs. 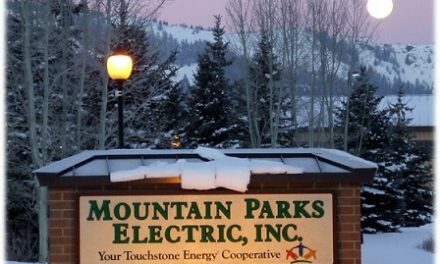 The first units are located in the northwest portion of the project area, between Big Meadows and Cottonwood Pass. Fire managers will be looking for a window with the right amount of wind, fuel moisture, temperature and precipitation in the forecast to allow the controlled fire to burn the desired fuels. For more information on this prescribed burn, please visit www.fs.usda.gov/goto/arp/blueridge. Condé Nast Traveler just announced the results of its 31st annual Readers’ Choice Awards with Devil’s Thumb Ranch Resort & Spa recognized as the #11 top resort in Colorado. Wolf Creek will kick off the 2018-2019 lift-served ski season in Colorado on Saturday, October 13th and Sunday, October 14th and will continue to operate on weekends until conditions allow for full-time operation. The Treasure Stoke, Bonanza and Nova Lifts will be turning from 9 am to 4 pm with early season conditions and obstacles. For more information, visit WolfCreekSki.com. 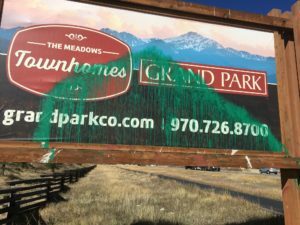 The Grand Park billboard signs have been a target for vandalism since they were erected nearly a decade ago. The senseless paint splash attacks have created a point of controversy for locals and visitors for years. The bandits struck again last week and this time the Fraser Winter Park Police Department is offering a reward of up to $1,000 for information leading to the arrest and conviction of the individual or group responsible for the vandalism to the Grand Park signs on US Hwy 40. Those with information are asked to call the Fraser Winter Park Police Department at (970) 722-7779 or Crime Stoppers at (720) 913-STOP (7867). Callers can remain anonymous.